I recorded this vid nearly three weeks ago, I forgot it was there. I only remembered it as I got a few messages asking how my homescreen was arranged to have a games section. I wish the tile was double. That does allow me though to put a tile that’s black already next to it. I saw this last year from JonChoo who had organized his homescreen like this for his Lumia. This might not be for everyone, folks might prefer the more fluid all together approach with just any of the popular tiles bubbling to the top as opposed to breaking them into groups. I’m not the usual consumer, I’ve got about 400+ apps installed now and so a few homescreen tiles. If you do have quite a few apps and tiles this app might come in handy. In this instance, I really wish WindowsPhone would have a N9/iPhone style instant scroll bar (I want to put together a new list of things we don’t like/could be improved in WP after exams). Maybe grouped tiles could have a ‘bookmark’ on that scroll bar (only appears if you put your finger on the side) so you know exactly what points to jump to as opposed to excessive scrolling. I’ve not seen that any users yet with as excessive in the amount of apps or tiles as me. There’s news of possible Folder tiles in a coming update. Not sure what that would be like. 1) THIS APPLICATION DOES NOT ACTUALLY CREATE FOLDERS ON YOUR START SCREEN. THE NOTION OF GROUPS IS SIMULATED BY THE USE OF TILE HEADINGS FOR SECTIONS OF YOUR HOMESCREEN THAT YOU WANT TO CATEGORIZE. If you are looking for folder like functionality do not get this product as it does not do that. 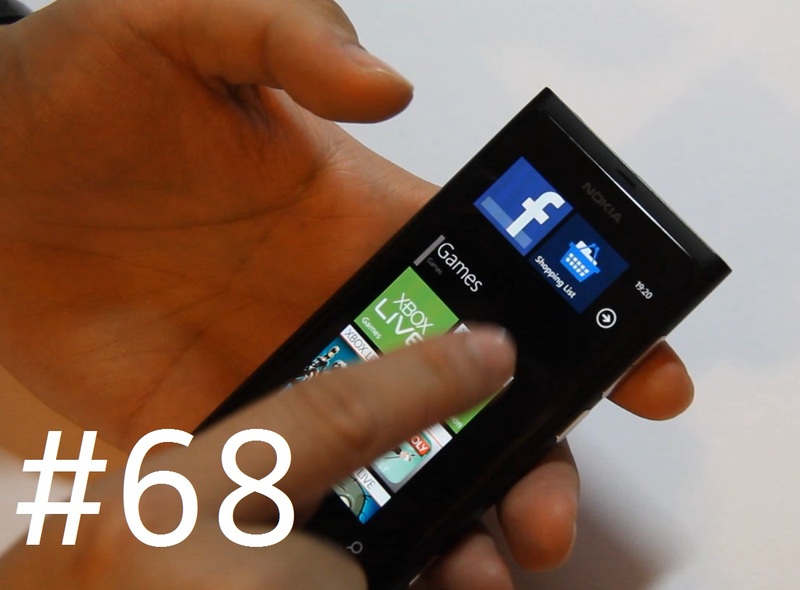 It uses live tiles to organize your home screen. Period! newgroup* provides you with an intuitive way of organizing your start screen live tiles using group headings. As the Live Tile feature begins to grow among applications and more and more apps make it into the Windows Phone Marketplace, being able to organize the apps that you want to see on your home screen metro experience becomes much harder. get newgroup* today and start enjoying the full power of mango on your start screen without worry!